When you think of actors who defined “cool” for their generation, Steve McQueen has to be at the top of your list. Although his tenure as a superstar leading man was relatively brief, he packed those years with a string of great films that remain iconic. And, unlike Bogart in the 1940s or James Dean in the ‘50s, McQueen’s screen persona – effortless, vulnerable masculinity – still feels resonant. He’s not a relic of a bygone era, he’s a contemporary style guide. The so-called “King Of Cool” would have turned 88 this weekend. And getTV honors the occasion with special programming on Sunday, March 25. The Western Nevada Smith (1966) kicks off the evening at 6:45 pm ET, followed by the career retrospective Steve McQueen: Life In The Fast Lane at 10 pm ET. Audiences may not have realized they were witnessing the birth of a screen icon in 1958 when 28-year-old Steven McQueen battled The Blob. But the evidence was clear soon after, when the ruggedly handsome young actor was cast in the Western series Wanted: Dead or Alive. Portraying a bounty hunter in the post-Civil War West, McQueen brought surprising nuance to a television genre often populated with stock characters. “It’s just an intuitive sort of thing,” the actor said of his low-key performance style in a 1962 interview featured in Life in the Fast Lane. In fact, he honed his trademark naturalism in the early 1950s whole studying with Sanford Meisner, the famed New York acting teacher whose mantra was to “live truthfully.” It’s McQueen’s truthfulness and contempt for hypocrisy that brought a counter-culture sensibility to films like The Magnificent Seven, The Great Escape, and Bullitt in the 1960s and keep them relevant today. But it’s The Thomas Crown Affair, which McQueen made with director Norman Jewison in 1968, that proves the Indiana farm boy was more than a one-trick pony. 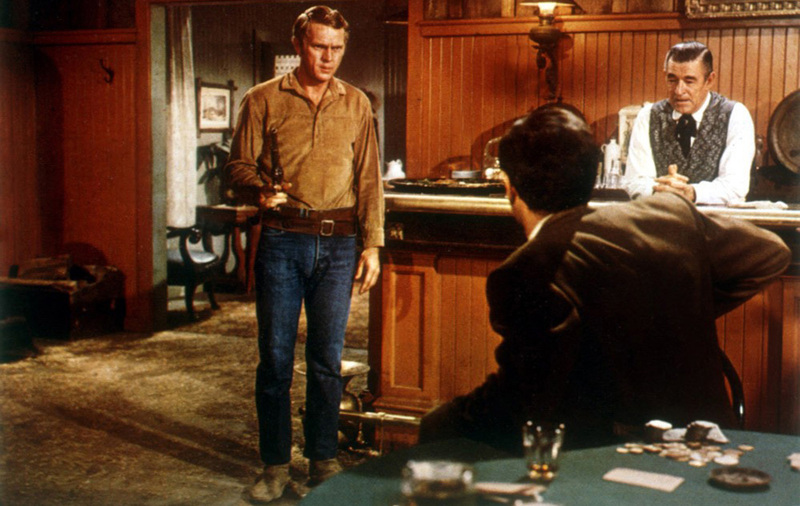 McQueen’s depth as a performer is on display in Nevada Smith, a powerful tale of Old West vengeance from director Henry Hathaway (True Grit). As a character first portrayed by Alan Ladd in The Carpetbaggers (1964), McQueen drops his trademark effortless cool for this epic prequel. He’s backward, uneducated, and ill-equipped for his quest, but nakedly genuine in his single-minded pursuit of the outlaws who killed his parents. Martin Landau, Arthur Kennedy, and Karl Malden are unforgettable as the murderers in a film that bridges classic American Western style with the rougher, less sanitized sensibility emerging from European Westerns. If you only know McQueen’s cowboy work from The Magnificent Seven, Nevada Smith is a must-see. Steve McQueen may have personified truth on cinema screens, but he struggled to find it in real life. Personal problems contributed to the dissolution of two marriages – including one to actress Ali McGraw that began with an affair during the making of The Getaway. After The Towering Inferno in 1974, McQueen stepped away from film, halting a meteoric rise that had taken him from low budget sci-fi to Hollywood’s highest perch. He spent the next six years enjoying life, turning down roles in blockbusters, and making a few small films until his untimely death from cancer at age 50. But even though his career was brief, he remains the defining male star of his era. Nevada Smith airs Sunday, March 25 at 6:45pm ET followed by Steve McQueen: Life In The Fast Lane at 10pm ET. For more information, visit the getTV schedule.